I always love our home but there are times of the year that I get extra googly about it. This is one of those times. Fall is approaching whether we want it or not (I'm starting to get really excited!) and I find myself "fluffing" quite a bit around here. I'm craving more comfy spaces. I LOVE the new "gather" sign (from World Market) too -- it probably won't stay red but we'll see. I wanted to simplify the actual items on the shelves, but still make good use of them. 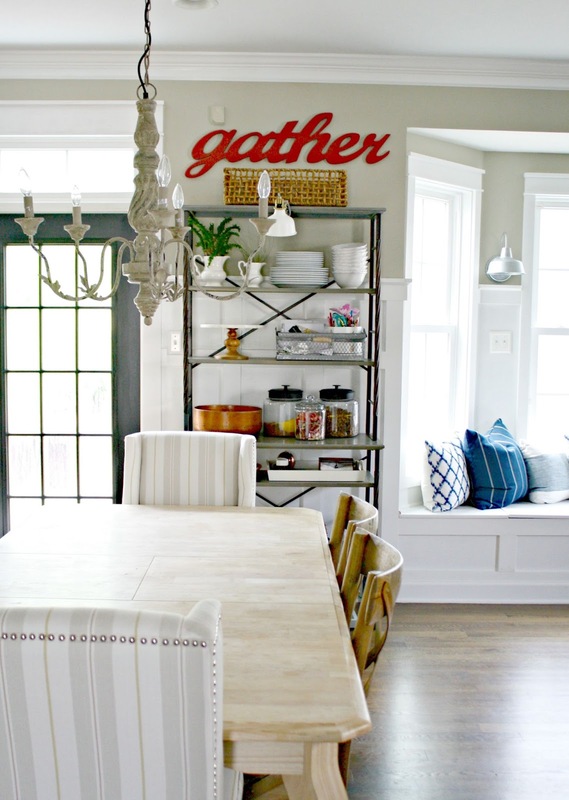 This one is a prime example of form and function for us -- this shelving unit it a work horse! It's an animal station -- all the food and treats are here, plus we keep napkins and placemats on the shelves and a ton of office supplies and storage as well. I added some of our plates to the top to free up some other storage space and I love the white there. We will use these often during the holidays and for upcoming parties so it's nice to have easy access too. I think I've finally decided what I'm doing with the kitchen table so I hope to get that done in the next month or so! It's little changes like this that I step back and appreciate -- first of all I love having family photos out. Our kids are cute. :) I also just love how it adds layers and some warmth to the decor. I threw it in a basket, as I love to do with all of our plants, and it filled this space nicely. Plants do that so well -- if you can keep them alive I can't recommend them enough for your decor! I added the limelights (as big as my head and that's a big head) to what is normally a candleholder -- I removed the candle and put a Goodwill vase inside instead. This feels SO much cozier now! I think it's the added contrast that the dark chair adds to this corner. This is the chair I sit at most mornings to write, like right now. :) I love being able to look out at our pretty backyard one way and my massive limelight bush the other direction. Love! That dark gray chair looked odd with the blue credenza. Now all is right in the world. 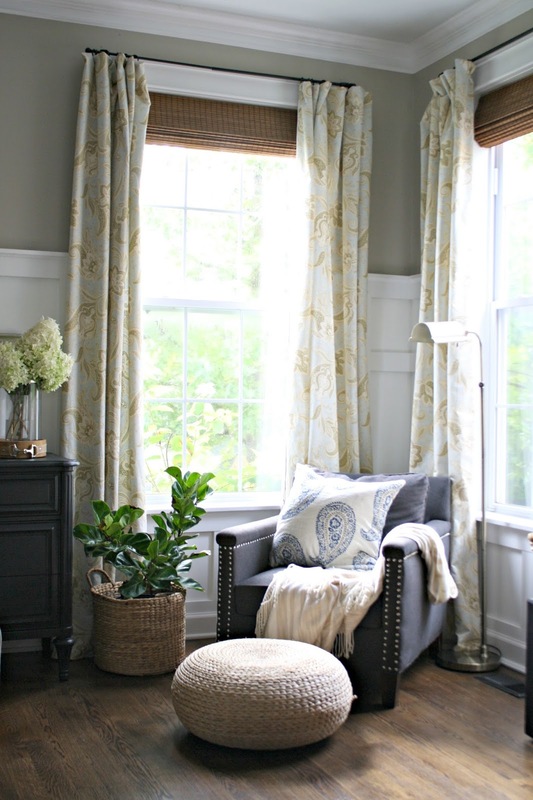 The pouf was from Target last year and I love it's more modern look combined with the traditional spool chair. A small side table added another layer to this spot as well and now I'm thrilled with it. Absolutely love it! I'm so glad I waited a while to get it -- I got such a good deal. And that massive fiddle leaf in the corner was the deal of the century! It is in rough shape (I've taken about 20 dead leaves off) so the price tag on this six foot, $130 plant was $30. So far it likes it's new home…hoping I can nurse it back to health. Rectangle sofa, rug, chair, dresser and art! It was on sale as well and it looks very "Pottery Barn" to me. I put an LED candle in there that goes on and off with a timer. I added the plant to that corner as well and adding the "layers" makes that area look so much better! Do you feel the need to cozy up your space yet? Or is it still super hot where you are? Our temps are slowly starting to drop -- next week it looks like we'll be in the 70's. I just hope it sticks! 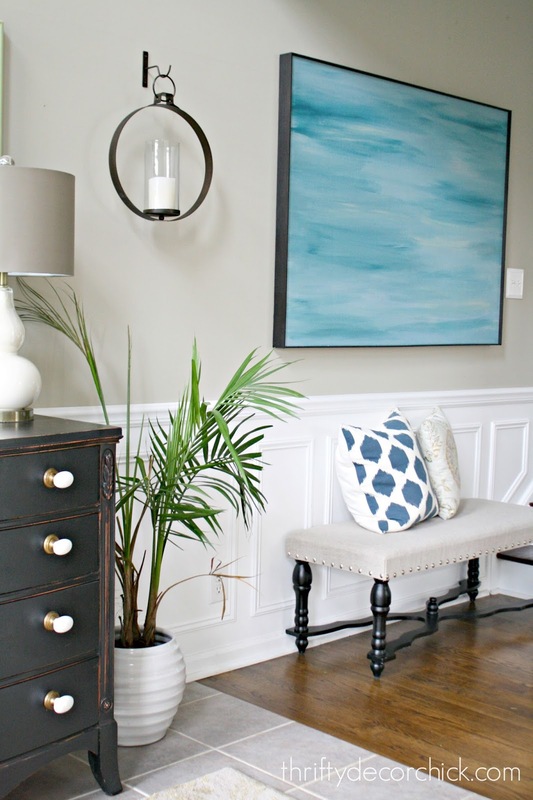 Have you thought about moving some of your artwork so your lamps aren't in front of it? I love that coffee table, Sarah - such a great look. 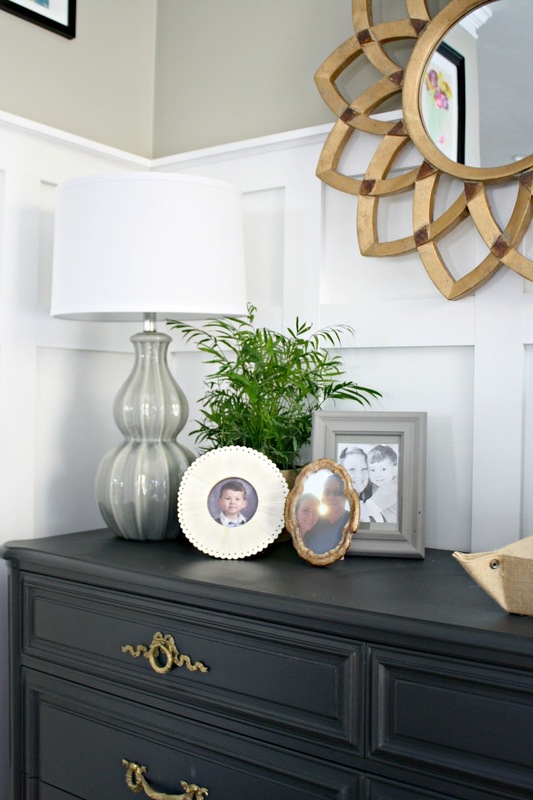 Did I somehow miss the dresser/furniture piece with the cool hardware that's in your entryway? Love that! I love all the changes, especially that you used a lot of pieces that you already had. It's such an inexpensive way to give your home a fresh new look. 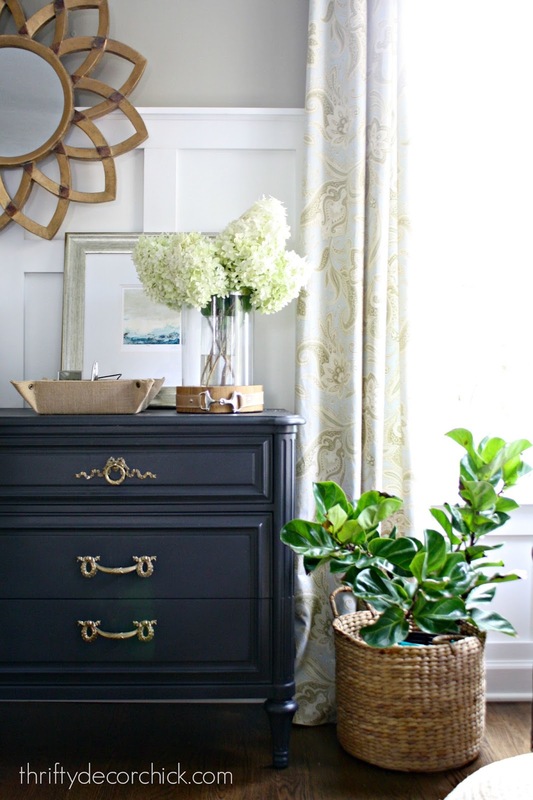 I also love the white and gold hardware on the dresser in your entryway and that amazing tribal coffee table. I have the same (bad) luck as you do with those palms. Everything else in our house lives except those! 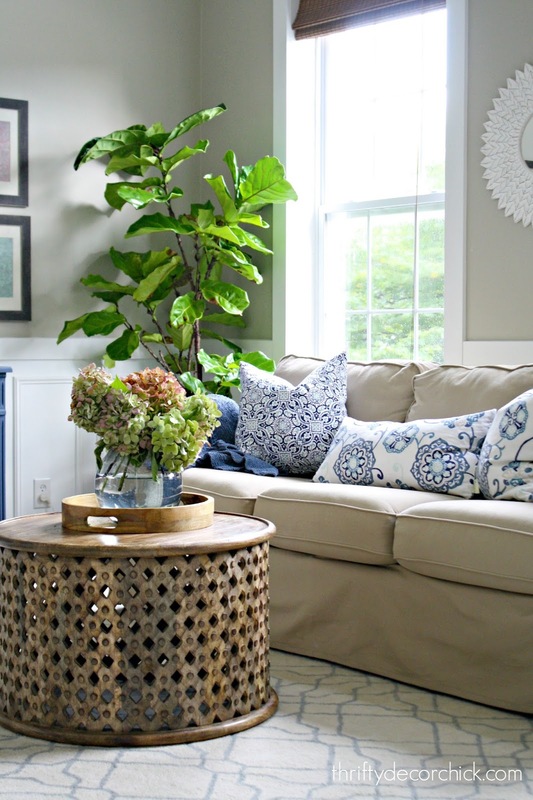 Can you share where you found the fiddle leaf figs? I've been searching all over Fishers/Indy for those and haven't run across them yet. The one in your living room is awesome! Allisonville Nursery! Love that place. Thanks! I've checked there a few time but never with any luck. I'll keep trying! Yes, love the changes. Very cozy and inviting indeed! Can you tell me what color is on the walls? 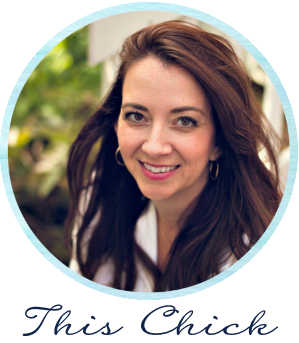 Oh how much I love your blog. We just moved to our first home and your blog is such an inspiration.. Thanks for all the wonderful stuff you share!! Looks amazing! Where is your carpet from with the gray design? Thank you! It was from HomeGoods and the brand name is Tahari. We are still up in the 110 to 115 degree temps in Phoenix Arizona. We are supposed to start dropping 1 degree per day by the end of the month. Excessive heat warnings all over. :( I WANT FALL to be here...so starting to plan a Fall Pinterest Party just to get me in that mood. everything looks great, as always! i am guessing that since you said you've tried everything that this was one that you have tried, but what about "Spot Shot"? i LOVE it, and it seems to get out any spots that i have ever had, even those that have sat for a bit. just thought that i would share in case you haven't heard of it. (: have a great day! I did! :( I have tried like ten different methods/products. I've never seen a stain like it, ha! Try using hydrogen peroxide on the spot. Love all the changes. Palms need light - they are tropical after all! I've heard great things but that didn't work for me either. It's crazy! All of my palms have been in light and they still die within weeks. I don't know what I'm doing wrong -- maybe not enough watering? I bet it's not enough water. If I don't water mine weekly, you can tell. I love all of the changes you've made! It all looks so inviting, and refreshed! I definitely look to your blog for inspiration, and you've done it again with this post. Fantastic job yet again! Sarah , my mother grew palms like crazy ! They were huge . She would take them outside wash them down with soap and water hose them off .They would sit outside for a couple of hours while she cleaned up where they sat inside .This would get done about every 3 months or when they started to look bad .Hope this helps. Thank you! Maybe I'll try that during the warmer months! I'm in the market for chairs for my living room and I love your spool chair and your blue chair. Can you tell me where you got them and are they comfortable? Both are really comfy, especially the spool chair. They were both from HomeGoods over the past year or so. Neither has a name brand unfortunately. I was looking for another of the dark gray forever and couldn't find one but the spool chair was at locations all over the country for awhile. I saw a beautiful spool chair at Pier One the other day. Beautiful photos and beautiful home! I love your World Market buys!! I don't know if this will help but I bought a new rug for our living room and one of my cats threw up some red stuff all over the new rug. Nothing took it up but out of desperation I put some baking soda on it and then put vinegar over it. The red came out and the rug looks better. Hope it helps. Fall is a good time to re-organize. You have inspired me. I love your style! It feels very cozy and beautiful! I'm ready for fall but it's still pretty hot in Missouri. Thanks for sharing! I love your home, it's beautiful and cozy and inviting. The spool chair looks like it was made for the new spot you put it in! I love the wall lantern, where did you get it? I love the changes. 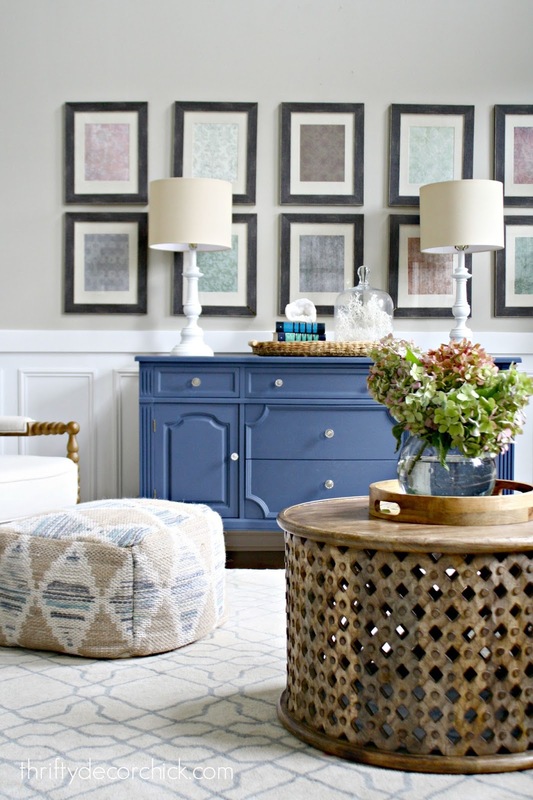 I am looking forward to adding some circular items to my family room to break up all of the rectangular shapes. Love the plants. That small leaf fiddle is so cute! Just gorgeous! 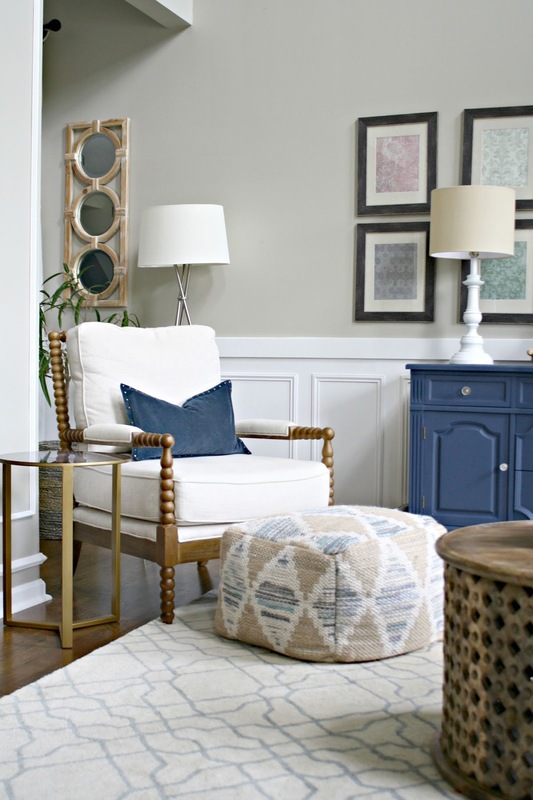 I love how everything stands out against the white wainscoting and gray walls- so pretty!!! As always I really like the changes you have made. I am curious as to where you found the LED candle with a timer on it. What a great idea! Most of the company understand that,selling a bad quality product is a huge waste in time. In these reason why there are many companies doing research first before they release their products. Have you tried Windex on the carpet stains? I got hair color on my carpet & by the time I noticed it was already dry & set. I tried everything and finally gave up. About 3 years later a friend told me to saturate it with Windex, let sit for 5 minutes and then scrub with a brush. I was so surprised when almost all of the stain came out. Now I use it for any stain. Your home is beautiful! I'm so awed and inspired by your abilities and accomplishments! By the way, have you tried shaving cream on those red spots? I was able to remove a very dark tea stain with it. Just a suggestion. You have such great style! I love the way you accessorize. Thanks for all the inspiration. There is a specific carpet cleaner put out for red stains (I spilled a whole huge cup of big red and the cleaner got it out with no traces left). Hello - where do/did you get your basket(s) for your plants? Especially the new plant basket you just shared. Hi, love your redo on the living room. Can I ask where you bought the pillows that are on your sofa? I just love that mix of patterns and the great shape those pillows have. Your house is beautiful, I honestly LOVE that front room now and that pouf ? Oh my heart. Keep that sign red!! It looks fantastic and pops so well. I can't wait to see more of your kitchen and that dining table set up is great. The round table is so pretty yet masculine and I love how your mixing it up with shapes in the front room, it looks so much cozier and all that natural light, yes please!. All the accessories you found I want in my home! Ha-ha one day one day!